A quick look at properly setting up an Illustrator file for exporting to SVG. 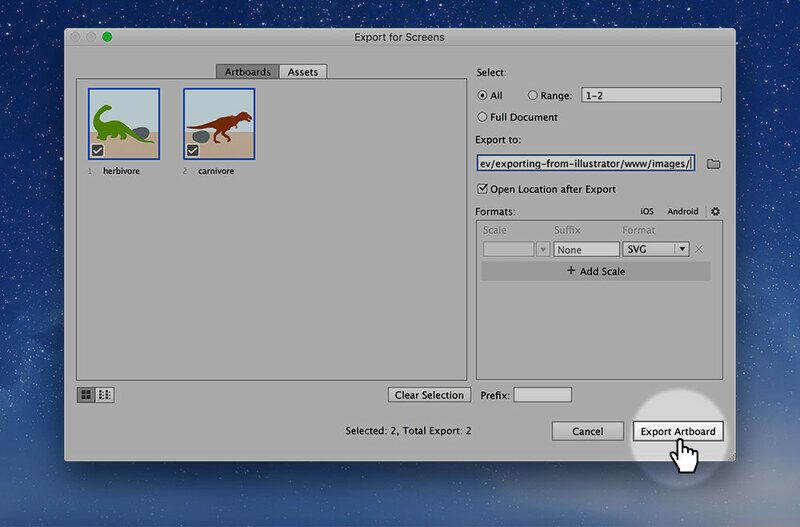 To get started on this project we need to download an Illustrator file that we can manipulate & export. Illustrator documents SHOULD NEVER be committed into your GitHub repository. 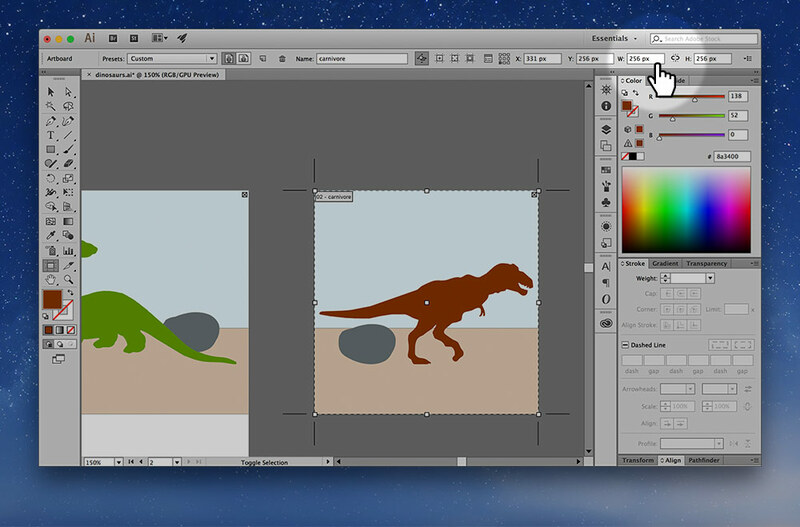 Rename the two artboards: “herbivore” & “carnivore”. 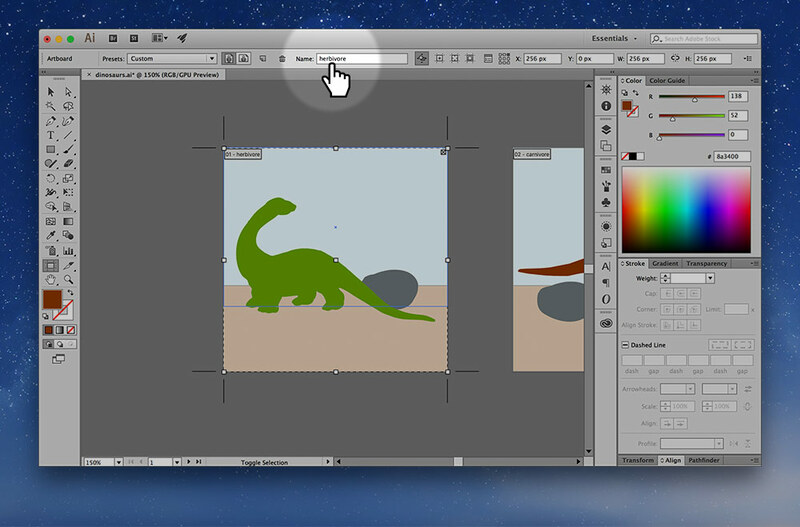 Change the dimensions of the artboard to exactly “256 × 256”. I like to use 256 as a good starting size for SVG artboards. We want to make sure the artboard perfectly matches the artwork—if there extra spaces around the artboard, those will cause the SVG to look funny. You can use the Object > Artboard > Fit to Artwork Bounds menu option to make it faster—but sometimes I don’t like the artwork touching the sides of the artboard. Don’t forget to follow the naming conventions when naming your artboards. 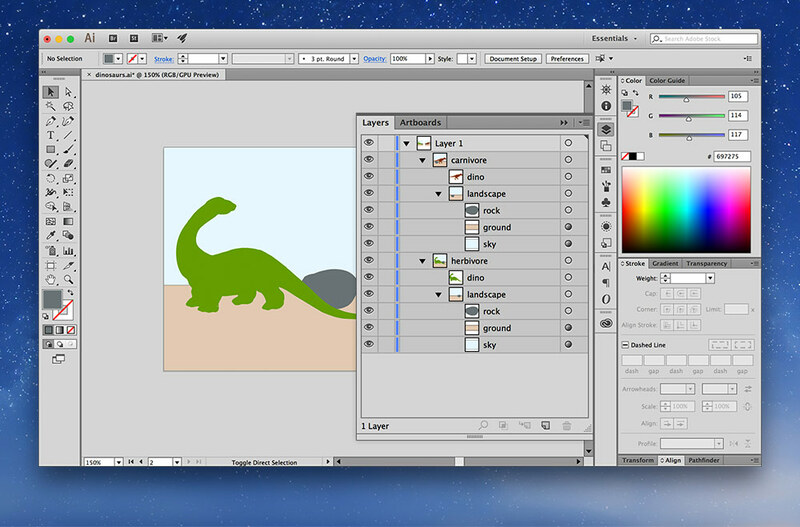 Naming the layers in Illustrator can be super helpful, especially when we animate and make the SVGs interactive. 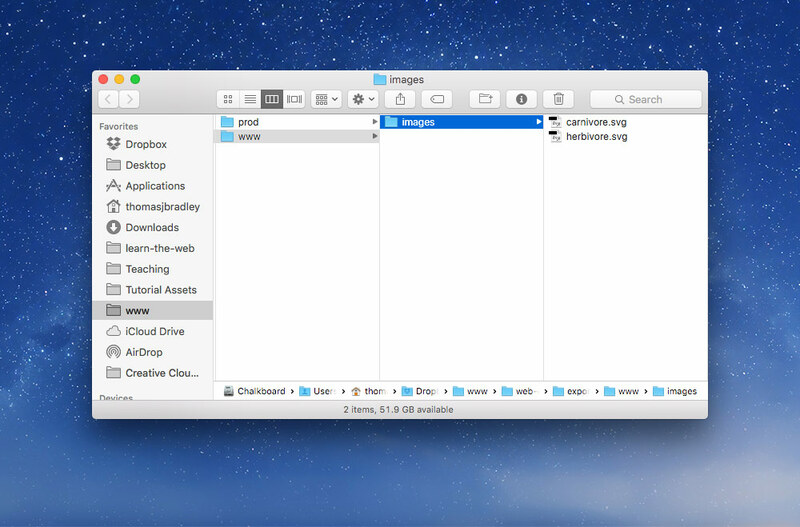 It’s also a really good idea to group things together—those groups will be represented in the SVG as different tags. Don’t forget to follow the naming conventions when naming your layers. 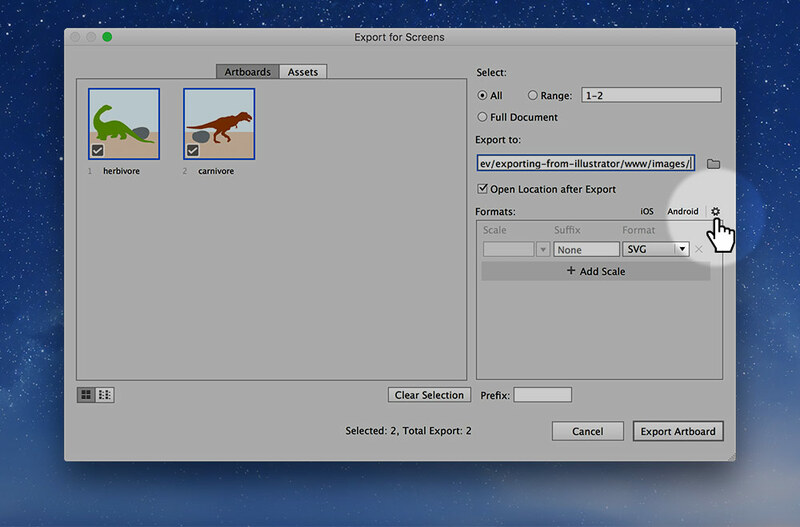 Now that our Illustrator file is set up properly we’re ready to export the SVGs. 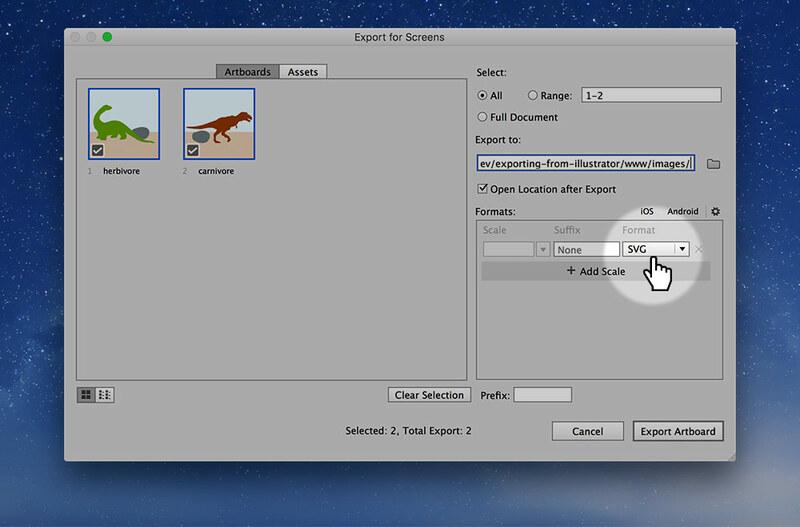 Choose the location to export the SVGs—into the images folder in your www folder. 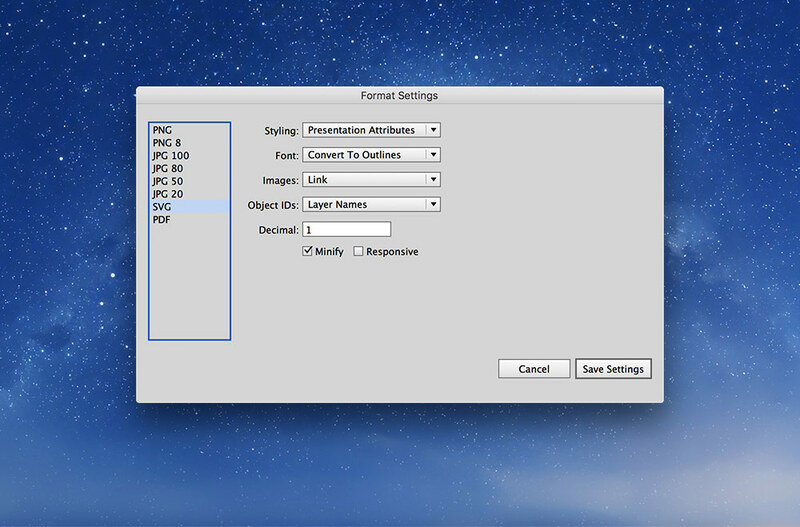 Adjust the SVG settings—you should only have to do this once, Illustrator should remember. 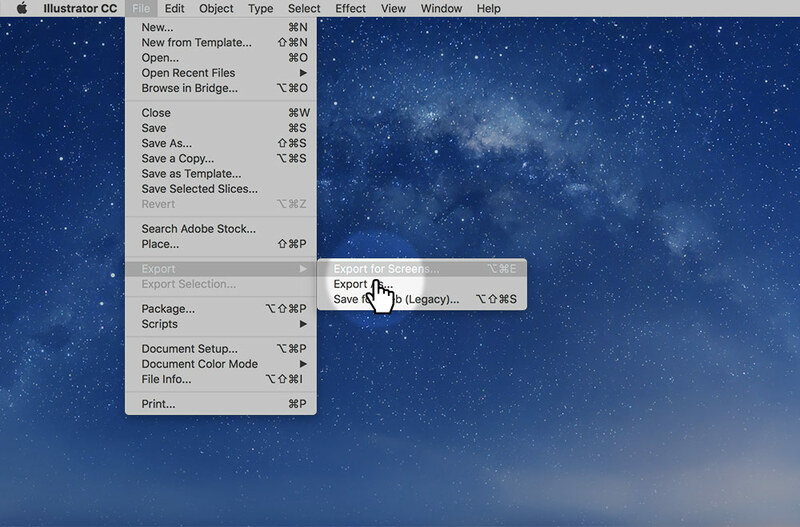 Never edit the SVG after it has been exported—that’s why we save the AI file. AI files are for editing, SVG files are for using on the website. We want to make the SVGs we use on the web as small as possible—Illustrator only does part of the job. 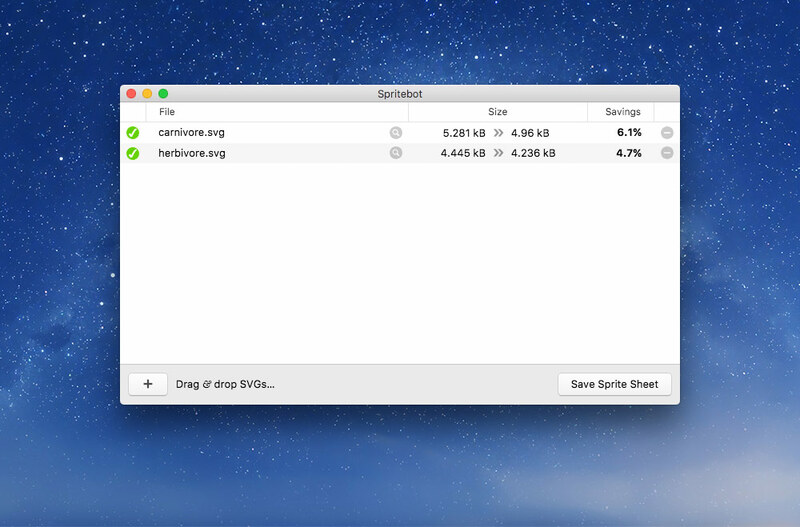 Next up we need to drop the images into Spritebot to really reduce their file size—it won’t reduce the quality in any way. You don’t have to save the files or anything, Spritebot will just overwrite your graphics with ones that are smaller size. You can go ahead and use these graphics in your HTML & CSS how you’re used to.